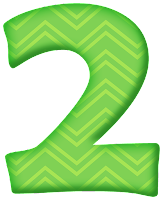 This is my 200th post! Can't believe it! It's been such a fun journey! Now ... down to business. I live in central VA, but am NOT a Virginia Tech fan! My family is from Ohio and my granddad was an Ohio State graduate, making it easy to become an Ohio State fan early on! Love this picture from the end of the game last night! I have taught 1st grade for the last 6 years, but there's been a bit of a change this year due to the closing of a school nearby. We have many new children, which tipped numbers in our first and second grade classes. I am teaching a combination first/second this year. So, there's been a huge learning curve on my end! We come in from lunch and read a book together. It's going to change in the upcoming weeks from my reading to them to them picking their own book. Calendar and Math Wall goes together. I have a calendar helper, who gets to choose someone to help him/her with the tasks. We split into grade level groups. Thankfully, our guidance counselor is teaching math with me this year! 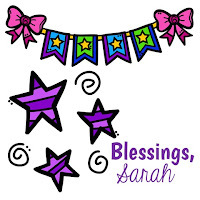 She's amazing and I'm blessed to share my space with her daily! We each take a grade level and go! 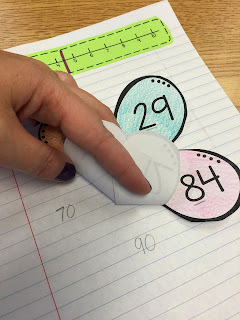 This week my second graders are working on rounding. We jumped into our unit by watching this video. 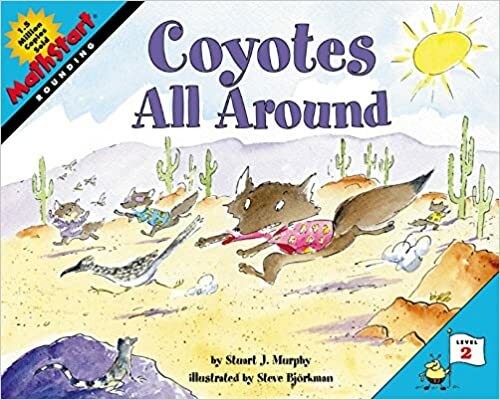 Then we read and talked about this book, Coyotes All Around, a MathStart book. We are working in our interactive notebooks ... notes went into our notebooks. We colored and cut out our flowers to put into our notebooks. 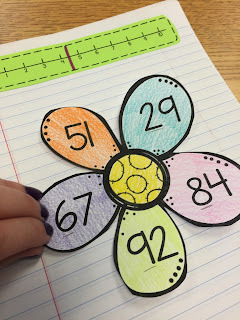 We glued down the center of the flower so we could lift up the petals to write the number each is rounded to. Here's what it looks like when we lift the petal flap. 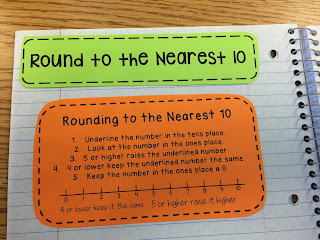 Today was the first day of rounding. 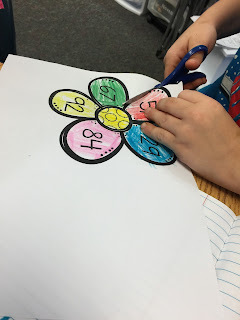 By the time we finished the first flower, my kiddos were rocking it out and could do the second flower on their own! 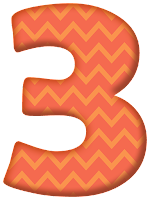 Click on any of the pictures above or HERE to download the activities we put into our interactive notebooks today! Happy short week of school, y'all! 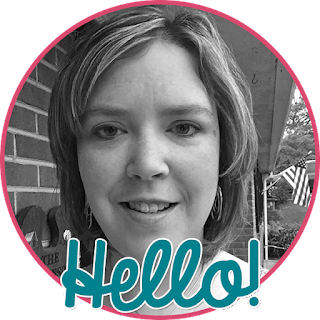 I happened to chance upon your blog and found it very interesting! We have recently launched a science app that uses augmented reality to enhance classroom teaching. The app has 3D models for kindergarten to grade 12. I thought you might want to check it out and may be review it on your blog, if possible. It is a paid app(with a few models free) but in case you are interested in trying it out I will be happy to provide you with a free copy. You can also search for the app on the app store as 'Augmenter'. Do let me know if you would be interested. I am really Looking forward to your response.